The 2019 Carolina Horizons Program will be held June 12th-15th, 2019. The application can be found at the following link: https://unc.az1.qualtrics.com/jfe/form/SV_7aLw8zSYfM792o5. The deadline to apply has been extended to April 16th, 2019. Eligible students are encouraged to apply. 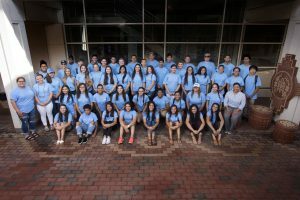 Carolina Horizons is a four day residential, student enrichment program at UNC Chapel Hill designed to support American Indian students as they prepare to apply to college. 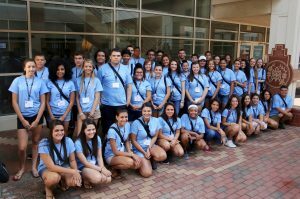 During their time on campus, students meet and are able to network with admissions advisors, current Native college students, and college representatives from across the UNC system. They learn about the common application, essay prompts, and essay writing tips. They also begin drafting their common application essays during the program. Students learn communication etiquette, SAT/ACT preparation, and financial aid and scholarship information. Carolina Horizons is open to rising high school juniors and seniors with priority given to rising seniors. 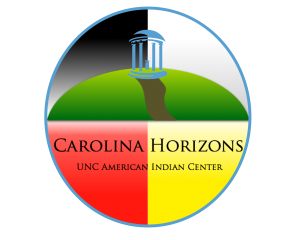 Over that past three years approximately 150 American Indian students have participated in Carolina Horizons. This year’s offering of Carolina Horizons will be June 12th-15th, 2019. Applications are NOW available. Please click the following link above to access the application: https://unc.az1.qualtrics.com/jfe/form/SV_7aLw8zSYfM792o5. If you are interested in participating in Carolina Horizons or would like more information about this program, contact Qua Lynch Adkins by email at qua.lynch@unc.edu or by phone at (919) 843-5928. 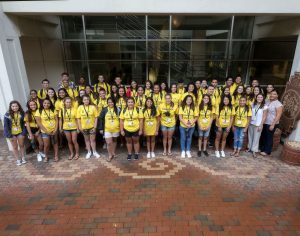 This program has been made possible through financial and in-kind support from U.S. Department of Education’s First in the World Grant, UNC Campus Partners, and personal sponsors to the American Indian Center.